The TRX trainer was born in the U.S.A by Navy SEAls. It’s a revolutionary method of body weight exercise that targets the whole body with hundreds of exercises that build power, strength, flexibility, balance, mobility and prevent injuries. Because of its demand on the core suspension training (TRX) essentially turns every movement into a total-body one, reducing the chance of injury. Because of increased muscular demand, suspension training increases caloric demand making it an effective tool for weight-loss. 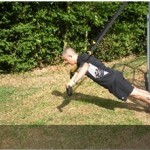 The TRX training program can be used at the home or gym. The TRX Rip Trainer is an essential tool for anyone looking to strengthen their core, the Rip Trainer employs an innovative resistance cord system to create a variable, unbalanced load that enables you to develop core strength, explosive power, flexibility and endurance. “Jason’s sessions are varied and challenging including TRX training ensuring every muscle is worked, even those I wasn’t aware of! My fitness has definitely improved and my body is becoming more lean muscle than fat”!! “Each training session with Jason was different and he used a variety of training method help me build up lean muscle and lose fat. 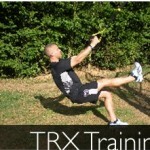 The best sessions I have with Jason involve using the TRX which I haven’t seen any other trainer use”. “The TRX worked pretty much every muscle i have and I feel tired but amazing after my sessions”. “Since I have been training with Jason , I have lost 4kg in weight, 7cms from my waist and 6% in body fat. I have also gained 1.5kgs in lean muscle. Now I’ve lost the weight, Jason is now helping me to “sculpt” my figure to allow me to define the muscles I’ve started to build up”.